Mr. Knotty and I saw a sneak preview of The Golden Compass this weekend. I am a big fan of the books and was very excited to see the film. And, of course, as a knitter I was so impressed by the costumes. The costume designer, Ruth Myers, created other-world fur by -- you guessed it -- knitting. Here are some sketches of the costumes (use the arrow to page through). Check out Nicole's collar here. And I was mesmerized by Lyra's jacket the whole time. I know I've seen that yarn somewhere! Oh, yes. Annnnnnnd we have a contract* on a house! Hooray! It was a terrific weekend for us. *Sounds a bit shady, doesn't it? Like we've hired a nefarious character to "take care of it." I'm your Knitting Blogs webring next door neighbor. 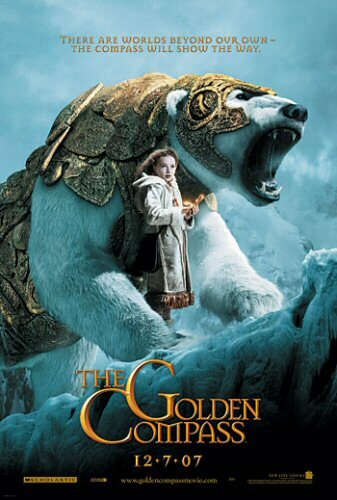 PS- I looove the Golden Compass and I can't wait to see the movie! Helloooooooo, Logan. And may I add that I love bees? Well, I do! Nice to have you next door!